Elena Passarello is the author of two essay collections, Let Me Clear My Throat and the forthcoming Animals Strike Curious Poses, both published by Sarabande Books. Her essays on performance, pop culture, and the natural world have appeared in Virginia Quarterly Review, Oxford American, Iowa Review, Slate, and the anthologies After Montaigne and Cat Is Art Spelled Wrong. 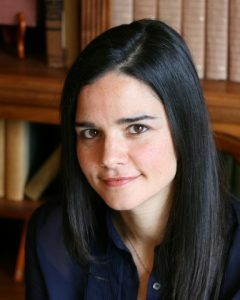 Elena received the Whiting Award for nonfiction in 2015 and teaches in the MFA program at Oregon State University.